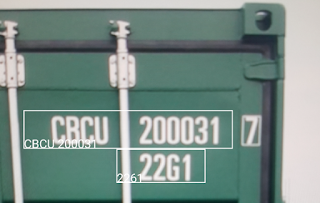 The app now provides you a way to scan a container number or any number for that matter. The option is available in slide-out main menu. Upon clicking 'Scan Number' on the menu, the app opens the camera (provided permission is given), and you can scan any number. Upon recognizing number(s), box(es) will be displayed over the number(s). Tap on one of the boxes, and the app will enter the number directly into the Search Box and perform a search for the number. Note: The scanned number cannot be longer than 20 characters. Please note that number recognition may not work in all cases depending on the clarity of the image, lighting conditions, angle of camera and other factors. In such cases, please enter the number manually. You can now update or edit Work Order Events and Data using the app. Just tap on the desired event or data field to activate the popup. If you have any questions on how to use TrakIT Mobile app, please contact TrakIT Support.